After you have purchased one of our mini golf sets for sale, you need to shop through our variety of mini golf supplies and equipment to accessorize your set! No mini golf course is complete without obstacles, from bumps and bridges, to ramps and huts that are guaranteed to challenge your players, and add extra elements of fun to your mini golf course! Each of our mini golf supplies give you the ability to customize your mini golf course. We are also proud to offer quality mini golf clubs in addition to other mini golf supplies and equipment that are guaranteed to make your party, display, event, or booth stand out for its creativity and fun! MGOP-001 Mini Golf Obstacle Package #1 Beginner Course great for younger players. Par 3 course Mini Golf Package Includes 9 Obstacles Obstacles included Barn, Windmill, Light tower, Silo, Gopher Hole, Tripple Oak Tunnel, Chain Obstacl..
MGOP-002 Mini Golf Obstacle Package #2 Advanced Course great for experienced players. Technical Par 5 course Mini Golf Package Includes 9 Obstacles Obstacles included Oak Tunnel, 360 Loop, Ball Speedway, Mole Hole, Pinway Bridge, Plin..
MGOP-004 Mini Golf Obstacle Package #4 (Blacklight Package ) Medium Course great for all players. Technical Par 4 course Mini Golf Package Includes 9 Obstacles Obstacles included: Tropical Temple,Island Barn, Volcano, Island Tiki..
MG-002 Flag Set Miniature flag set for our nine hole Course. Black flag-Yellow rod-Metal Base Shipping:FREE SHIPPING!!!!!!! *Please contact us for international shipping rates. * var sc_project=8059419; var sc_invisible=1; var sc_se..
MG-005 Putter & Ball Rack Made from solid Oak this stand holds 20 putters & 2 dozen golf balls.Can be made collapsible and portable.Please call for this option Shipping:FREE SHIPPING!!! *Please contact us for international shipping rat..
MG-006 Safety Sign Made from solid Oak, sign measures 18 inch by 18 inch by 40 inches tall. 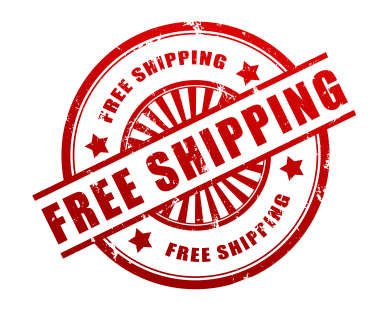 Shipping:FREE SHIPPING!!! *Please contact us for international shipping rates. * var sc_project=8059419; var sc_invisible=1; var sc_security="1..
MG-007 Rules Sign Made from solid Oak, sign measures 18 inch by 18 inch by 40 inches tall. Shipping:FREE SHIPPING!!! *Please contact us for international shipping rates. * var sc_project=8059419; var sc_invisible=1; var sc_secu..